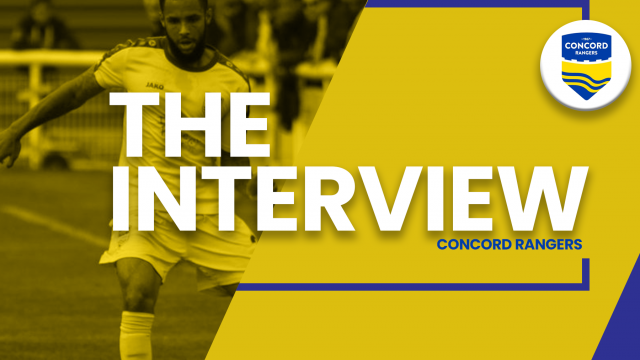 Ahead of this afternoons National League South match between the Beachboys and Oxford City, we caught up with first team coach, Darren Beale to get his views on what he’s expecting, the cup draw and lots more. 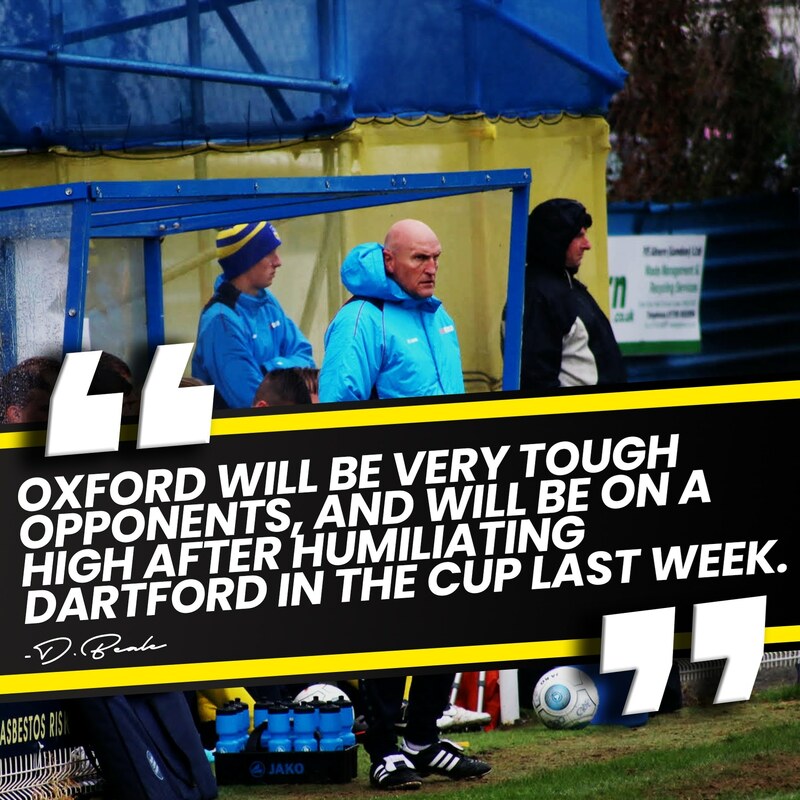 Darren, how’s life been like at Concord Rangers so far for you? Life has started well for us at Concord which is a positive compared to how it ended off the pitch at Leatherhead! To move to a better standard, club with better facilities has enabled us a management team to progress. The chairman and the board, the addition of Dan Scopes, Jordan (Bradley), Jimmy (Knight), Ginge (Dave Chambers), Jane (Sisley), Alfie (Gates), Andy (Smith) the media team, the youth set up and of course the players and fans have all played a part in helping the club move in the right direction. 3 games, 3 wins and plenty of goals scored, what’s been your thoughts on that? After starting well and not conceding many we then hit a patch of of conceding too many goals in a short amount of time… We have analysed games, worked on the training pitch and hopefully turned a corner in that area and that’s credit to Bes (Sam Beasant) and the defenders and with the attacking players we feel that we have always got goals in us. Dover Athletic at home in the FA Cup, a former side of yours, what’s that going to be like? Dover (Athletic) is the club where I was a coach and Sammy was playing, Andy Hessanthailer was our gaffer and its great to see he will be for the game next Saturday. Sammy and myself have alot of respect for Hess and keep in touch regularly, it will be tough. Dover are at the bottom end of the National League and the moment but with Hess now in charge they have a management team that can can help them survive in that league and kick on. That said we are the underdogs for the first time in the cup this season, we’re at home and have a squad that is more than capable of causing an upset. Knowing Hess as I do he will not be taking us lightly! But as we all know the cup is a one off game and anything can happen. Back onto league action on Saturday away to Oxford, its a long trip, how have the squad prepared for the game this week? 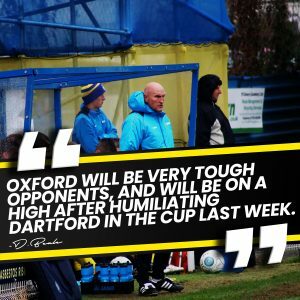 If we can keep this run going away from home the it keeps us in touching distance of the front runners… Oxford will be tough Opponents after humiliating Dartford in the cup last week. 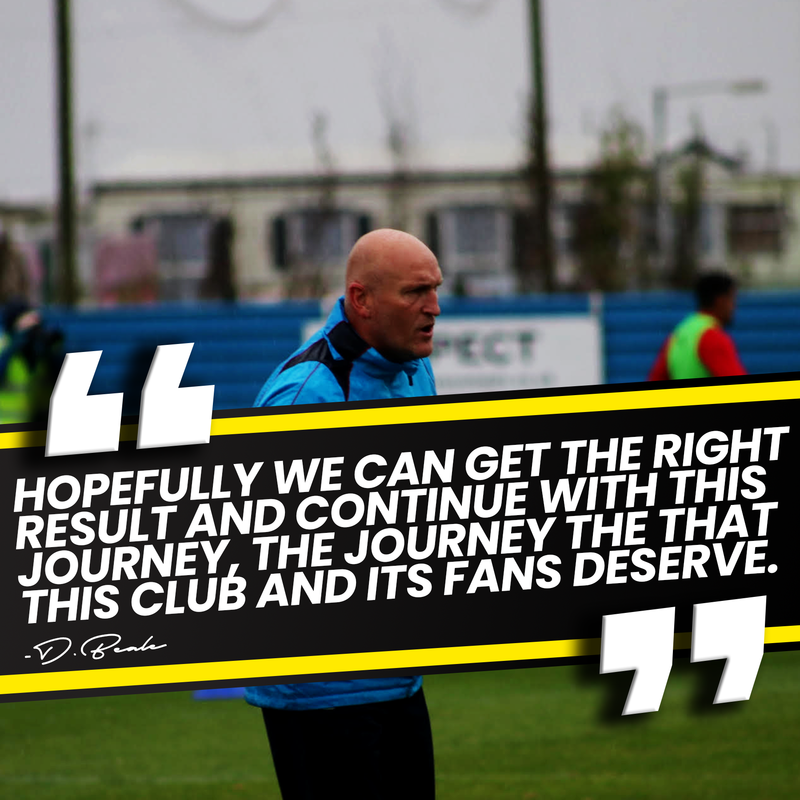 Lastly what would be your message to the fans ahead of the FA Cup game at home to Dover Athletic? 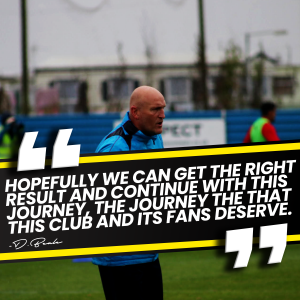 You’ve been superb this season and this was shown after last week’s game when they turned up in awful conditions… Dover supporters will turn out in numbers I am sure, so we need you to be the same and be as vocal as you can. Hopefully we can get the right result and continue the journey that this club and its supporters deserve. Thanks for your time answering the questions, Darren.